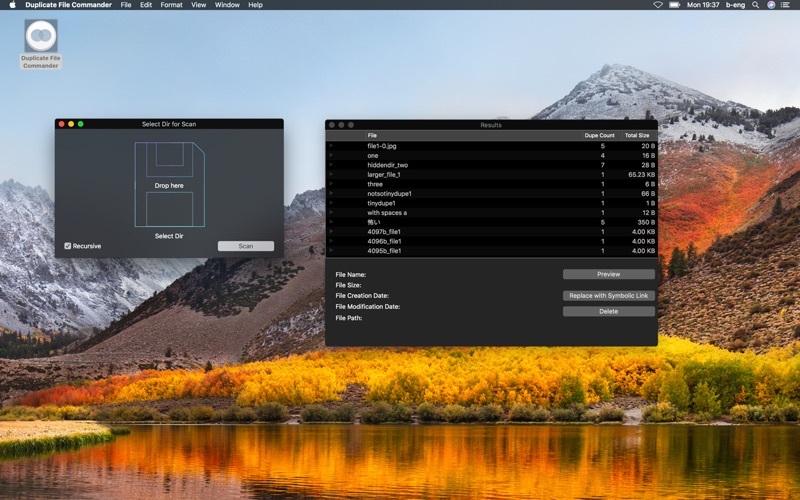 Duplicate File Commander is a modern duplicate finder with a stylish interface. It is easy to use like no other. Extremely fast and with unparalleled performance it accurately scans your computer for file and folder duplicates. 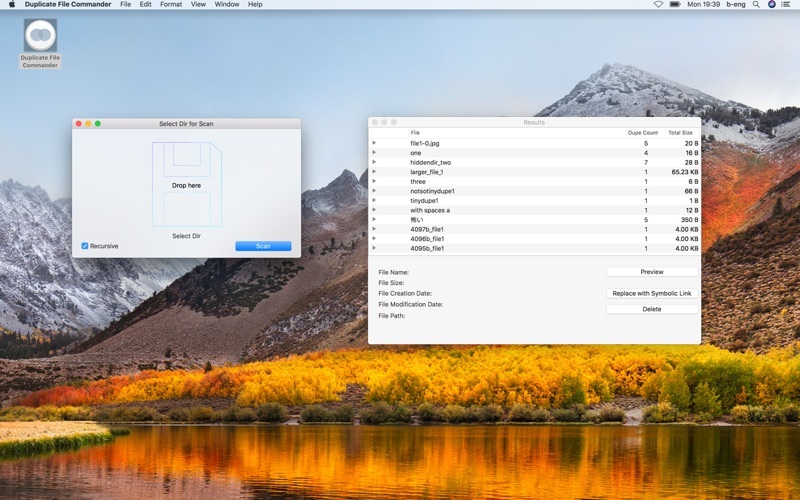 No matter if is is photos, iTunes duplicates or folders, Duplicate File Commander locates duplkicates of any type, even complete folders. Duplicate File Commander can be used for your hard drive or any other storage device or type.